When the possibility of germ exposure is higher, colloidal silver can be taken orally each day or applied topically when there is a skin problem. It’s like having a second defense system. The silver acts only as a catalyst and is stabilized. It is non-toxic, except to one-cell plants and animals, and is non-addicting. It also apparently kills parasites because they have a one cell egg stage in their reproductive cycle. Older folks reportedly feel younger because their body energies are used for other uses than constantly fighting disease. Digestion has also been reportedly better. Medical research has shown that silver promotes more rapid healing, with less scar tissue, even in the case of severe burns. Successes have been reported in cases that previously have been given up by established doctors. Colloidal silver is tasteless and won’t sting even a baby’s eyes, and won’t upset your stomach. Colloidal silver has been reported to kill 650 micro-organisms, many of which are associated with human diseases. This does NOT automatically mean that taking colloidal silver will “cure” diseases “caused” by these germs. 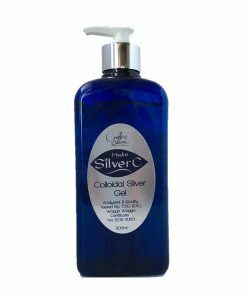 Colloidal silver only kills micro-organisms when they are in contact with it for a sufficient period of time. The human body is a complex system which may prevent high enough concentrations of colloidal silver from reaching the “affected area”. The basic guideline that has been recommended for using colloidal silver is that it usually “works” if you can get a high enough concentration to the “affected area”. Some will want to experiment with “higher amounts” to find out what it takes to accomplish this. 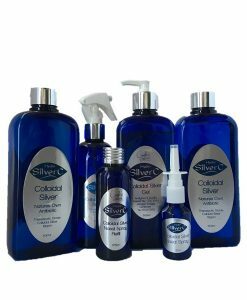 Do not use colloidal silver if you are allergic to contact with silver metals, or if you notice any digestive upset after use. acne, AIDS , allergies, appendicitis, arthritis, athlete’s foot, bladder inflammation, blood parasites, blood poisoning, boils, burns, cancer, candida, cholera, colitis, conjunctivitis, cystitis, dermatitis, diabetes (Reference 1), dysentery, eczema, fibrositis, gastritis, gonorrhea, hay fever, herpes, impetigo, indigestion, keratitis, leprosy, leukemia, lupus, lymphangitis, Lyme disease, malaria, meningitis, neurasthenia, parasitic infections: viral, fungal and bacterial pneumonia, pleurisy, prostate, pruritus ani, psoriasis, purulent opthalmia, rhinitis, rheumatism, ringworm, scarlet fever, septic conditions of the eyes, ears, mouth, and throat, seborrhea, septicemia, shingles, skin cancer, staphylococcus and streptococcus infections, stomach flu, syphilis, thyroid, tuberculosis, tonsillitis, toxemia, trachoma, all forms of virus, warts, whooping cough, yeast infection, stomach ulcer, canine parovirus and other veterinary uses, and fungal and viral attacks on plants. Simply spray diluted silver on the leaves and add to the soil.